This engagement ring design is perfect for any bride to be! This "Put a ring on me" art is perfect for the engagement or Bachelorette party! 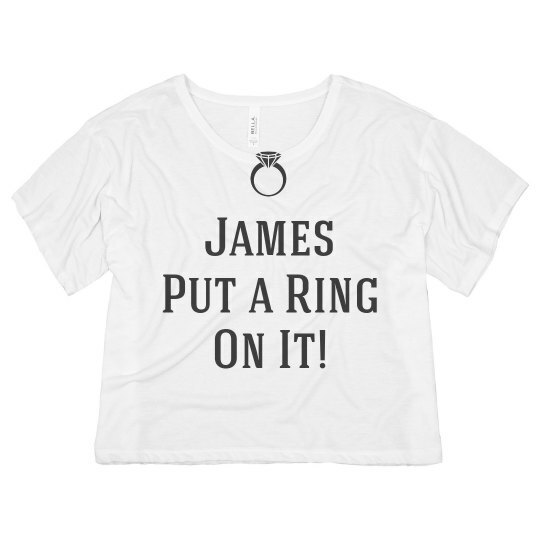 Custom Text: James | Put a Ring | On It!